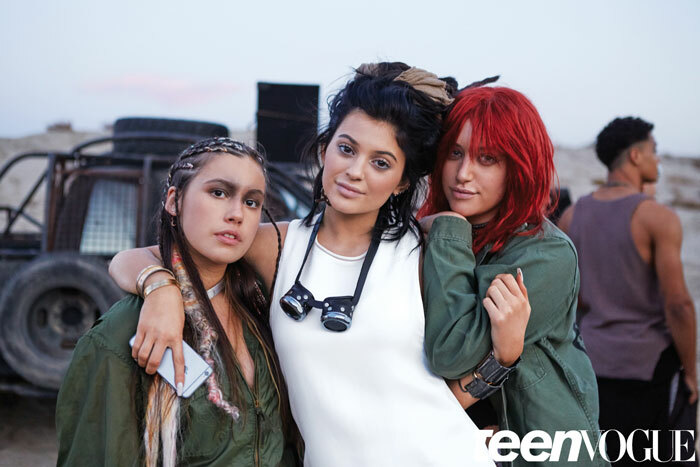 We were both honored and excited when Teen Vogue called us back in January to provide them with steampunk goggles for their May 2015 cover story on Kylie Jenner (@KylieJenner). 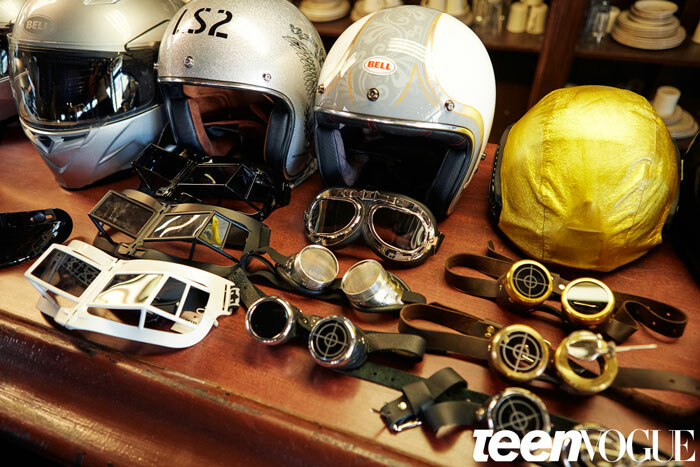 Of the 15-ish goggles and sunglasses we sent over, several pairs were highlighted on the desert set. We wanted to shout from the rooftops, but kept our lips sealed so as not to spoil the surprise. This was especially challenging when magazines reported on Kylie’s Instagram pics sporting her cool dreads on February 6th, because we knew what they were for! And when Zendaya’s dreads were the talk of the town the next day at the 87th Oscars on February 7th, it was even more difficult to keep quiet. And yet we did, even after Daily Mail leaked the shoot. Without a doubt, Kylie is starting to shine. Certainly she’s had her share of mean people on social media critiquing her every move, but she’s held her own. According to the Teen Vogue cover story, she’s a pleasant, down-to-Earth teenager who uses words like, alrighty. As with every other teen, she appears to be anxious to move out of the house to be on her own. Granted her home away from home will be a mansion that most of us will never be able to afford. 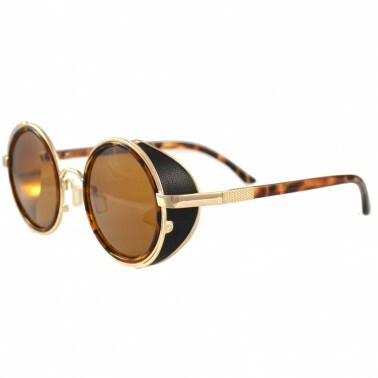 What Does This Mean For Steampunk? Steampunk appeals to all sorts of people. In its purist form, it was (is) a literary genre that has its roots in the late 1800s, and this is apparent in the Victorian garb that enthusiasts wear to festivals and events (and sometimes every day). 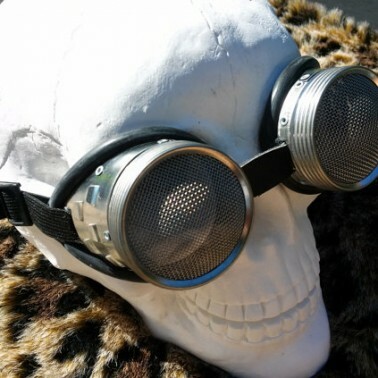 Yet like everything else that endures the test of time, steampunk has evolved. We like to think that it has evolved to become more inclusive of different types of people with varying interests. Kylie Jenner is one of those people. She lives the life of a teenage reality star, and probably won’t be in attendance at the next Steampunk World’s Fair. And, though Rebels: City of Indra: The Story of Lex and Livia – the book coauthored by Kylie and her sister Kendall probably won’t ever be found on the same shelf as Twenty Thousand Leagues Under the Sea, or The Time Machine, it at least expresses an interest in science fiction and has an element of steampunk to it as reported by NY Mag. Let’s not forget the inclusive nature of this wonderful genre we call steampunk. It has attracted people from all walks of life, including brilliant sci-fi geeks, beautiful cosplayers, bikers and Hollywood. 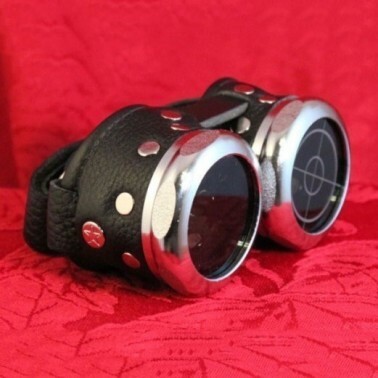 The neck of a reality TV star / fledgling model probably isn’t where most people would expect to find a pair of steampunk goggles. Yet it is this very thing – the unexpected – that makes steampunk so wonderful. Sisters Kim Kardashian, Kendall Jenner and the crew have all had their share of magazine covers, and now it’s Kylie’s turn to bask in the limelight. She may have to look to her parents, Kris (aka Momager) and Bruce Jenner (we support you, Bruce) for guidance, but we know she’s on the right path. Why? Because she has her goggles to help her find her own path, of course! 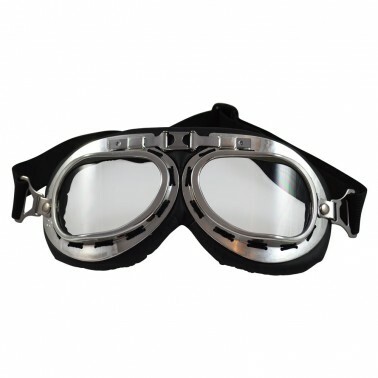 Not ready for full-on goggles yet? 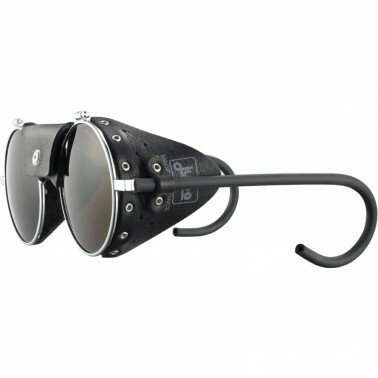 Try sunglasses with side shields!